Take a scenic ride on the Mt. 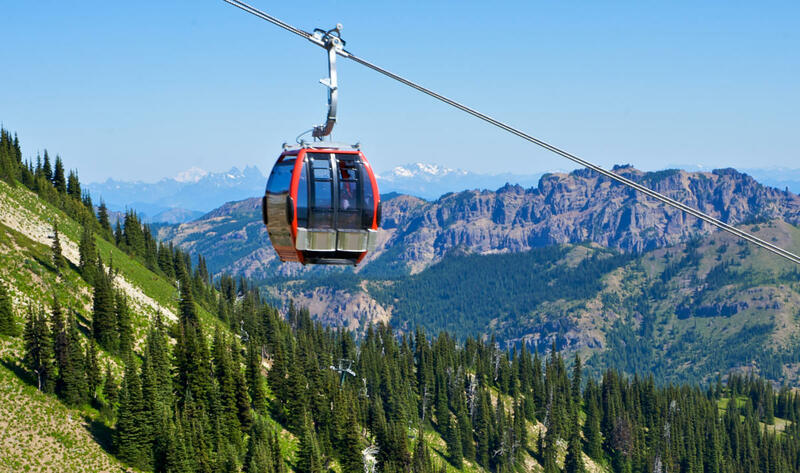 Rainier Gondola over meadows of wildflowers, and climb over 2,000 vertical feet to the summit of Crystal Mountain. At the top you’ll find an unparalleled view of Mt. 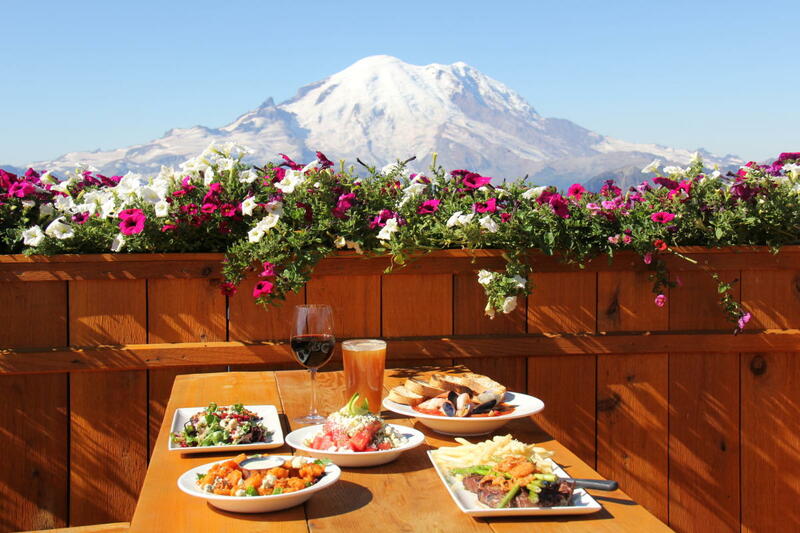 Rainier and the Cascade Range, as well as the Summit House – the highest elevation restaurant in Washington State! Crystal Mountain Resort is open June 22nd through September 16th for scenic Mt. 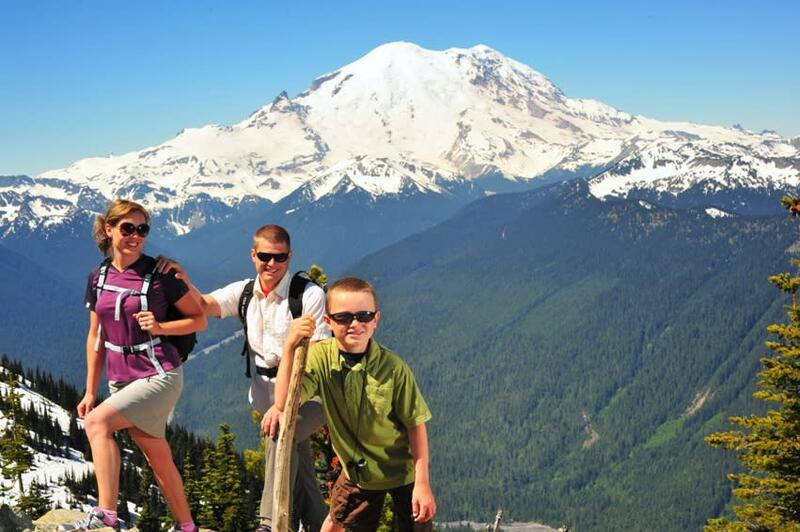 Rainier Gondola rides, hiking and dining at the Summit House Restaurant. Soak in the views from one of the slingback chairs situated along the ridge. You’ll also find access to miles of hiking trails and the Summit Gift Shop, located under the gondola station. Interpretive guided walks are also offered on select days; learn about the local history, geology, wildlife and more. Picnic tables can be found along the ridge but please don’t feed the wildlife (yes that includes chipmunks and squirrels). Leashed dogs are welcome on the gondola and the hiking trails during the summer only. The gondola is wheelchair accessible and fun for all ages. Each gondola cabin seats up to 8 people and the ride is 12 minutes each way.